Omni-channel retailing means store owners have both physical and digital presence, yet providing a seamless shopping experience across their online and offline presence. It should provide a high-quality service and experience between the contact channels. It could also mean using the same digital devices in-store to give a digital experience. It enables enabling store visitors to see products and deals on their mobile devices as well; have in-store purchases shipped to their home and enable online purchases to be exchanged or returned in-store. The idea is to sell and operate both online and offline, as well as work together to give a singular shopping experience to the customers. Today, it’s just a philosophy and far from reality. It is about being consistent, yet providing unique brand experience across multiple customer touchpoints. It should thread in local stores, marketplaces, web, mobile and social media as well. It is all about enabling customers to shop from wherever they are and their preferred channel, whereas the brand provides experience unique to their choice of medium, but at the same time showing awareness of their individual presence in the customer lifecycle. Suppose your customer bought your product from an online store such as Amazon. He/She gets a notification that a local store of the brand is located near them and could even facilitate shipping of products to the store. They will get email notification of the social media profile such as Instagram and Pinterest with post of the product they bought. They can now collect their product from the in-store, where the staff is already aware of his/her name, date of purchase and the product is already ready to be handed over. The customers gets immediate notification of the delivery of the product on their mobile devices. Plus they can also look around for similar products of interests and can buy it on the spot. Stats gather by McKinsey Research and Harvard Business Review reveal some interesting fact on the opportunity of omni-channel. The study included 46,000 customers who were asked about every aspect of their shopping journey during the period of June 2015 to August 2016, with a focus on which channels they used and why. They were an avid user of smartphone apps to download coupons and compare prices; they were also avid users of in-store digital tools such as in-store tablets, price-checker, interactive catalog etc. It also reveals the omni-channel shoppers purchase 4% more on the local stores and 10% more online than single-channel customers. The research clearly shows that the more channels a customer used, the more they would spend on their shopping. Customers who uses more than 4 channels spend 9% more in store, compared to those who use just one channel. A research by IDC Retail Insights found that retailers using omni-channel marketing strategies saw a 15-35% increase in average transaction size. There is also a 5-10% increase in loyal customers profitability. In addition to that, they have a 30% higher lifetime value than those who shop using only one channel. 89% retention rate of customers vs 33% for other brands. 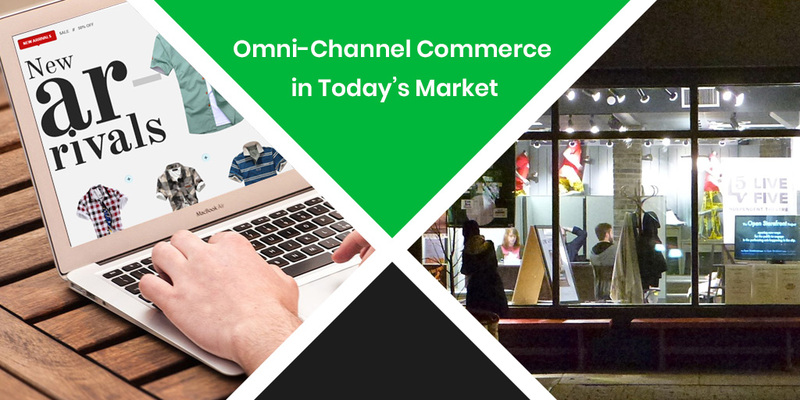 Here is everything you need to know about omni-channel commerce. If you have any thoughts or suggestions please let us know in the comments section below.